A 72 year old female with a history of HTN, a-fib s/p MAZE, and coronary artery disease, was brought in by ambulance with a chief complaint of “slow heart rate.” The patient reported an episode of syncope about 45 minutes earlier, and continued to note feeling like she may pass out. Cardiac Myocytes: Contain both B1 and B2 receptors with B1 >>> B2. Once catecholamines bind to these receptors on the surface of the myocyte, a signal cascade begins leading to the formation of cAMP and eventual calcium uptake into the cell. Beta-blockers bind to these receptors and prevent this downstream effect, eventually lowering the calcium uptake into the myocyte. Contact Poison Control early in these patients! This is the gold standard at this time, and is the “board answer” to treat beta blocker toxicities. Glucagon acts by directly increasing cardiac inotropy by activating adenyl cyclase by a secondary mechanism separate from that of catecholamines, bypassing beta blockade. It also increases hepatic gluconeogenesis, counteracting the hypoglycemia caused by B2 blockade. Re-bolus as needed every 10 minutes given short half life (~20 min). There is no defined therapeutic ceiling at this time. It is reasonable to give 2 doses and, if efficacious, start drip at the effective dose – for example, if two 5 mg doses increased HR, then start a glucagon drip at 10 mg/hr. Atropine may be effective and there is no downside in trying. If effective, it will need frequent re-dosing or a drip given its short half life. Symptomatic bradycardia requires immediate intervention. Transcutaneous pacing is frequently attempted but rarely effective. Due to decreased intracellular calcium, the voltage needed for pacing capture is much higher than typical. Aim for a rate 50-60 to allow increased repolarization time for intracellular calcium to accumulate. At this point there is no clear winner for which pressor is best, but regardless you will need MUCH higher doses than you are used to giving. Norepinephrine/Epinephrine – Best choice with anecdotal evidence and case reports, titrate directly to effect. Isoproterenol – Seems logical given pure beta stimulation but does not seem to be effective from multiple case reports. Combine with norepinephrine to add peripheral vasoconstriction support. Dopamine – Can increase inotropy/chronotropy but paradoxically decreases SVR and worsens hypotension. Given that the downstream effect of BBs is to decrease intracellular calcium, it is reasonable to give empiric calcium IV. However, there is no significant literature to support its efficacy and hypercalcemia has been shown to inhibit the action of glucagon in animal models. There are few case studies to suggest mild elevation in HR, but no increase in cardiac inotropy or blood pressure. It is best to give a single bolus (specifically calcium gluconate, unless central access is available) to assess efficacy, then start a drip if effective. Insulin causes direct myocyte activation which increases inotropy likely by “metabolic rescue.” Essentially, myocytes in a stress state rely on carbohydrate metabolism (rather than free fatty acids in non-stress state), and insulin promotes glucose uptake and utilization. This therapy is best used with evidence of severely decreased inotropy rather than chronotropy (i.e. normal HR but continued hypotension, or evidence of hypodynamic myocardium on bedside echo). Currently the only FDA indication is for fat emulsion in TPN. Intralipid's major use is for reversal of high dose local anesthetic overdose. It can also be used for any lipophilic medication in case of overdose. 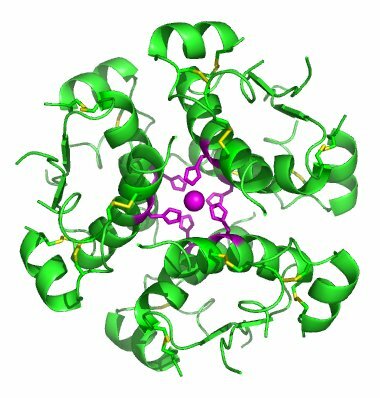 The mechanism is complex but one way to simply it is thinking about it as a "lipid sink." Free plasma medications are ‘caught’ by lipid intravascularly, effectively lowering their plasma concentration. A gradient is then created between tissue and plasma, causing plasma uptake of free medication from tissue, thereby effectively lowering active dose of medication. Again, this is likely an oversimplification and there are many other competing theories. This therapy may be partially effective against most BBs, especially propranolol, carvedilol, nebivolol. Intralipid should be done in conjunction with pharmacy and poison control consultation. Overall, dialysis is largely ineffective and is not first-line choice given that most BBs are lipophilic and highly protein-bound in serum. However when the kitchen sink approach is necessary in a patient, dialysis may be considered. Specifically atenolol, acebutolol, sotalol, nadolol are all somewhat dialyzable. This is quite a remarkable case, and you bring up a number of points we like to discuss on toxicology teaching rounds when we are consulted for patients with severe cardiovascular medication toxicity. In addition to all your excellent teaching points, I’ve outlined below some other considerations when treating beta-blocker poisoned patients. "The pharmacology and pathophysiology of these cases are like playing on a 3-dimensional chessboard. The pieces are moving in ways you didn’t even know were possible." Try to find out all possible exposures! A patient's medication list is very helpful, but that’s just the beginning. Are the patient’s old prescriptions still at home? This is very common when prescription changes are made. Are other people in the household on other medications? How does the patient take his/her medication? Does he/she maintain a neatly arranged pill organizer or is the patient someone who brings in all 20 of their different medications in a plastic bag? CCB poisoned patients may have a remarkably intact mental status for the degree of hemodynamic compromise. BB patients are more likely to be altered. CCB poisoned patients will be hyperglycemic. Adult BB poisoned patients who do not have diabetes will have euglycemia and less commonly hypoglycemia. In the setting of shock, we frequently caution against the use of activated charcoal because of concern for developing obstruction or pseudo-obstruction from concurrent decreased gut perfusion. However, particularly when concerned for exposure to extended-release products, charcoal should be given if hemodynamics and mental status tolerate. "Not all beta-blockers are the same." It is incredibly important to try to determine if the patient was exposed to an immediate release medication or a modified-release (extended, sustained, delayed) form. This difference can influence many clinically important factors – prediction of timing of onset of symptoms, duration of illness, and therapeutic decisions. Some beta blockers have what are called “membrane-stabilizing effects.” In toxicology, this is most importantly represented by these medications’ inhibition of fast sodium channels. This is why propranolol and acebutolol can cause seizures, QRS prolongation, and ventricular tachycardia. Beta-blockers also have varying degrees of lipid solubility, influencing their neurotoxicity. The most infamously neurotoxic is propranolol, which can cause delirium, coma, and seizures. "Some more thoughts on therapeutic interventions, although I’m going to leave pressors alone as there's way too much opinion and too little science to comment on here." Many centers throughout the country are becoming much more comfortable with high dose insulin (hyperinsulinemia-euglycemia therapy). All emergency physicians, intensivists, and pharmacists should discuss its use in beta-blocker poisoning with their regional poison center if considering its use. Dosing, monitoring, and dextrose supplementation recommendations may vary. Sadly, pacing is rarely effective. The reason for this is thought to be that the clinical state of sick beta-blocker poisoned patients is not only dependent on the heart rate. In beta-blocker poisoned patients with characteristic vital sign abnormalities, glucagon is absolutely my first choice medication. Sometimes you need additional medication, but I think glucagon works really well. However, it’s really expensive and your hospital/region/state may have limited supplies. In a paper by Dart RC et al (Expert consensus guidelines for stocking of antidotes in hospitals that provide emergency care. 2009 Sep;54(3):386-394), they provide the average wholesale price for 8 hours of glucagon therapy to be $7875.00 (comparison: IV acetylcysteine is listed in the same paper as costing $800.30). This should not be an argument against its use but instead prepare you for the possibility that your hospital will run out of glucagon if you have a sick beta-blocker poisoned patient. Your hospital pharmacy can help you mobilize additional stores, and your regional poison center can guide you through the use of next lines of therapy. In short, patients who are diagnosed with beta-blocker toxicity in the ED are rarely young and healthy patients. They almost invariably are on other medications and have underlying cardiovascular disease. These facts may greatly influence their response to the overdose, their clinical signs/symptoms, as well as their response to therapy. Patients who are symptomatic from cardiovascular medication toxicity will be sick, and you will have to act quickly and correctly to save their lives. Cevik, S.E., Tasyurek, T., Guneysel, O: Intralipid Emulsion as an Antidote in Lipophilic Drug Intoxications. Am Jour of Emerg Med; 32 (2014); pp. 1103-1108. Doepker, B., Healy, W., Cortez, E., Adkins, E.: High Dose Insulin and Intravenous Lipid Emulsion Therapy for Cardiogenic Shock Induced by Intentional Calcium-Channel Blocker and Beta-Blocker Overdose: A Case Series. Journal of Emerg Med. 2014; Vol. 46, No. 4, pp. 486-490. Cao, D., Heard, K., Foran, M., Koyfman, A.: Intravenous Lipid Emulsion in the Emergency Department: A Systematic Review of Recent Literature. Journal of Emerg Med. 2015. Vol. 48, No. 3, pp. 387-397. Graudins, A., Min Lee, H., Druda, D.: Calcium Channel and Beta-Blocker Antagonist Antidotes and Adjunct Therapies. British Journal of Clin Pharm. Sept 7, 2015. Barton, C., Johnson, N., Mah, N., Beauchamp, G., Hendrickson, R.: Successful Treatment of a Massive Metoprolol Overdose Using Intravenous Lipid Emulsion and Hyperinsulinemia/Euglycemia Therapy. Journal of Pharm and Drug Therapy. 2015; Vol 25; Number 5; pp. 56-60.